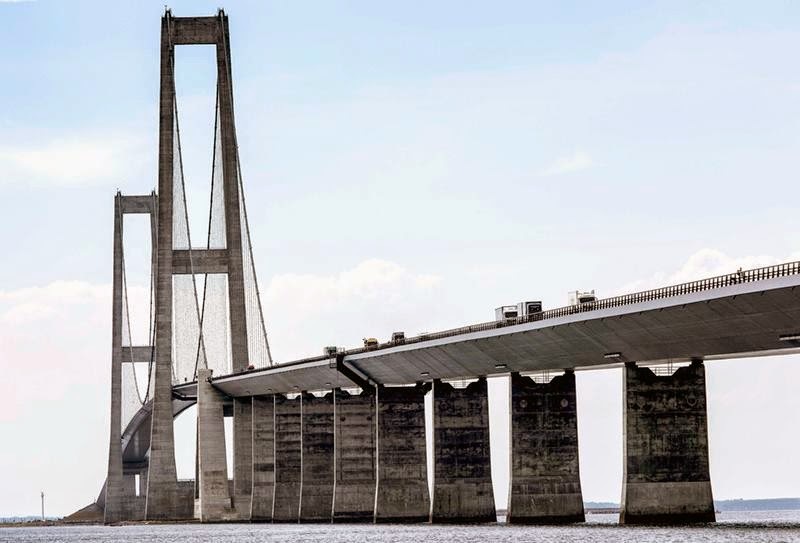 Oresund Bridge — A unique structure, present a modern miracle. It passes through the air, underground and underwater. 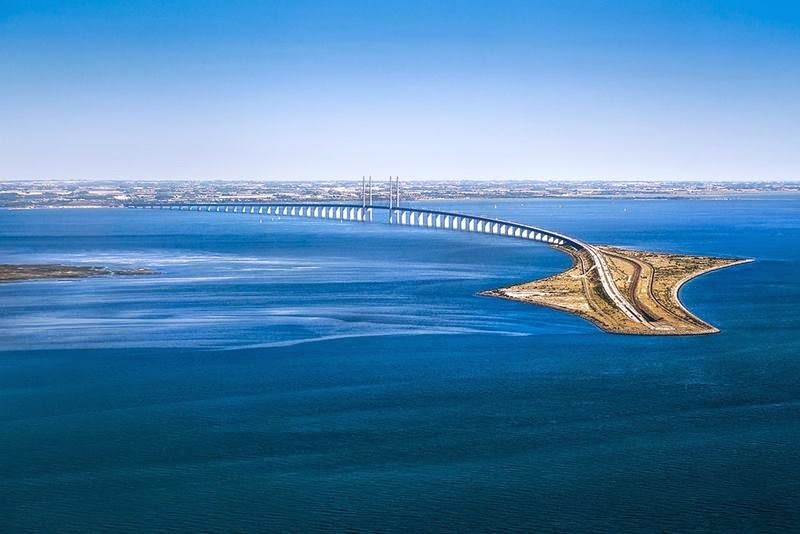 The 7.8 kilometres-long cable-stayed bridge forms an important part of the fixed link between Denmark and Sweden. From the Swedish city of Malmo to Copenhagen Airport. 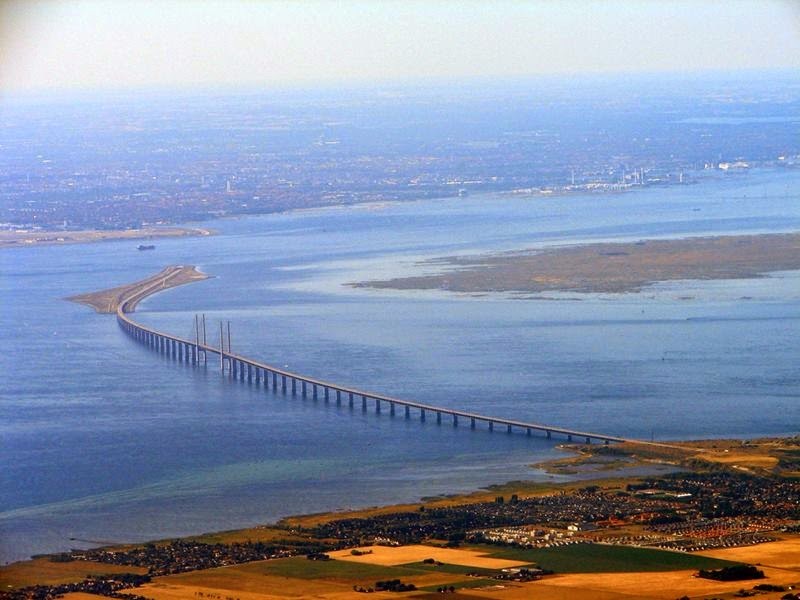 The Danish capital city, and the major Swedish city of Malmö. 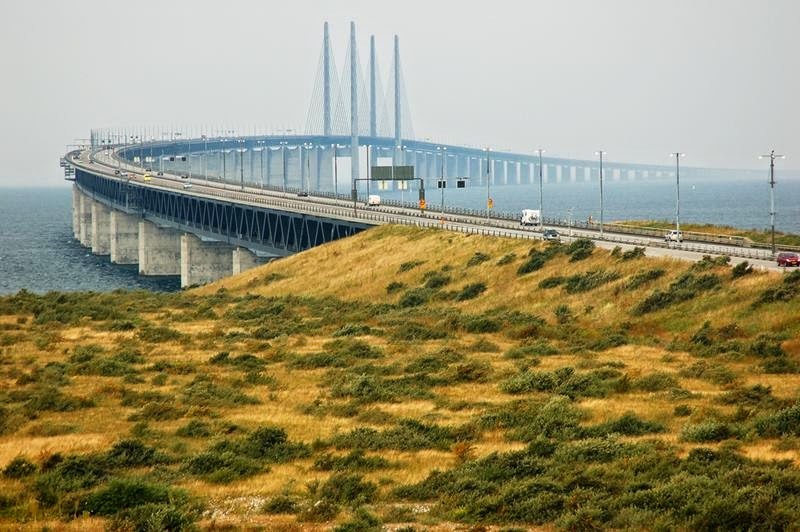 It connects the road and rail networks of the Scandinavian Peninsula with those of Central and Western Europe. 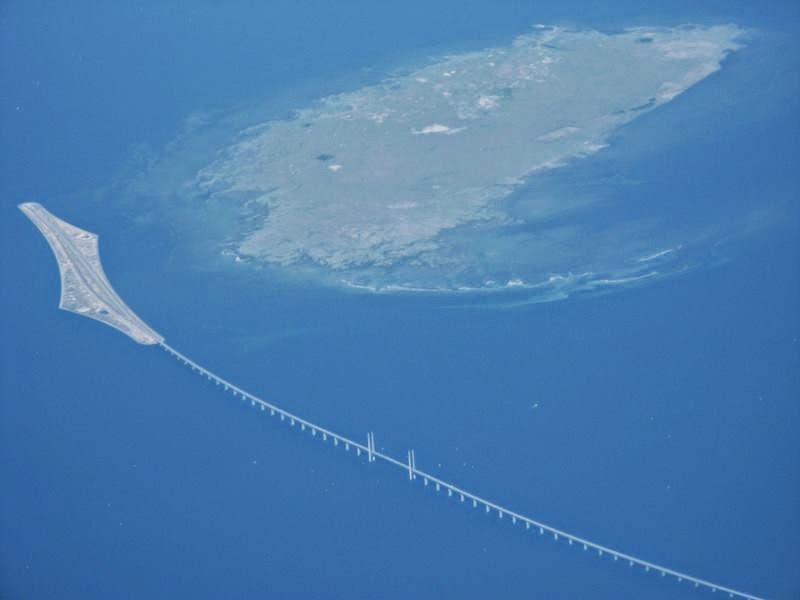 The crossing of the strait is completed by a 4 km underwater tunnel, called the Drogden Tunnel, from Peberholm to the Danish island of Amager. 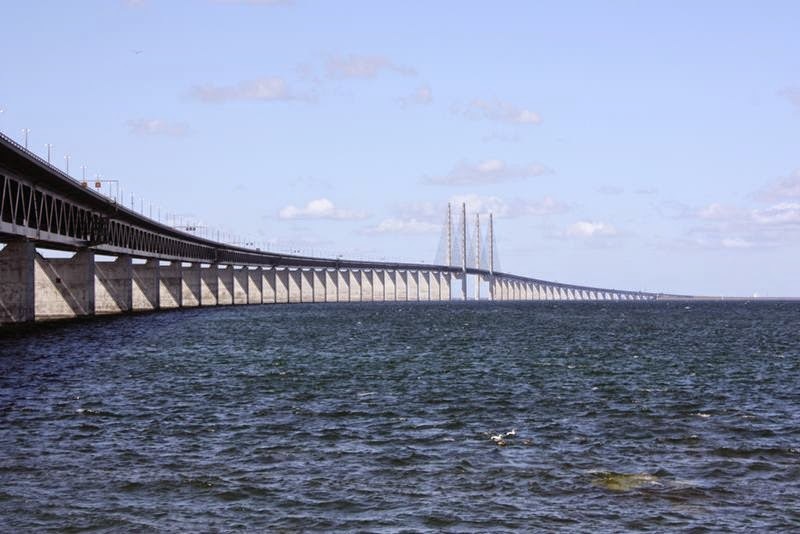 The term Øresund Bridge often includes this tunnel. 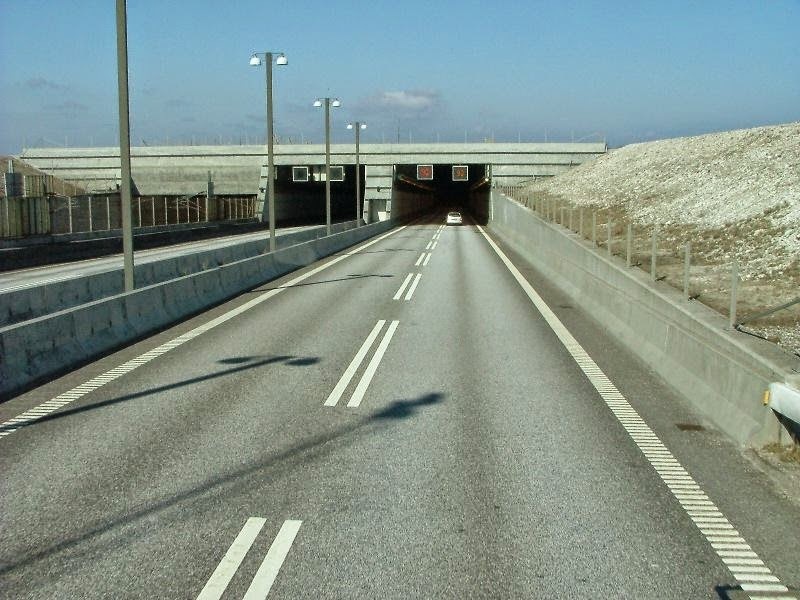 The connection between Peberholm and the artificial peninsula at Kastrup on Amager island, the nearest populated part of Denmark, is through the 4,050 m or 13,287 ft long Drogden Tunnel (Drogdentunnelen). 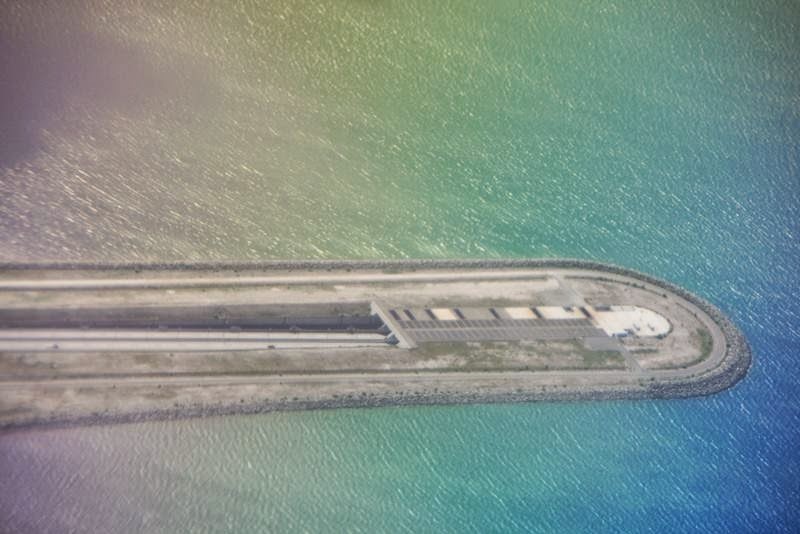 It comprises a 3,510 m or 11,516 ft undersea tube tunnel plus 270 m or 886 ftentry tunnels at each end. 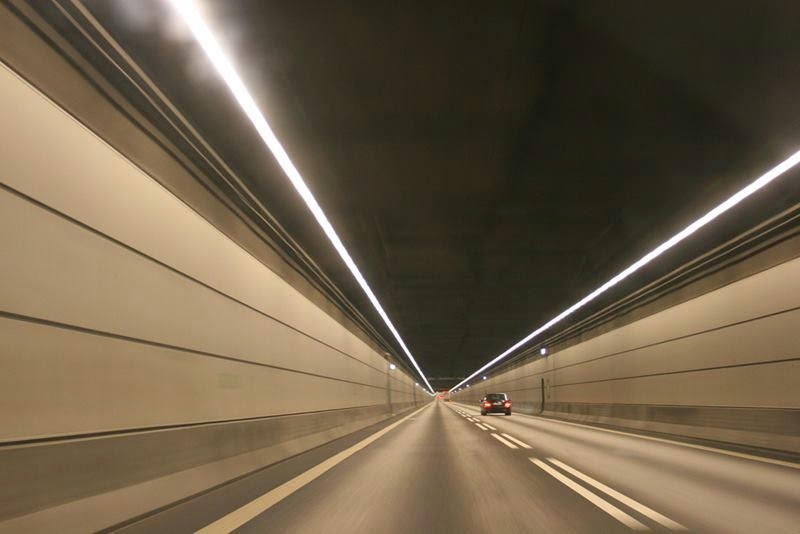 The tube tunnel is made from 20 prefabricated reinforced concrete segments – the largest in the world at 55,000 t each – interconnected in a trench dug in the seabed. 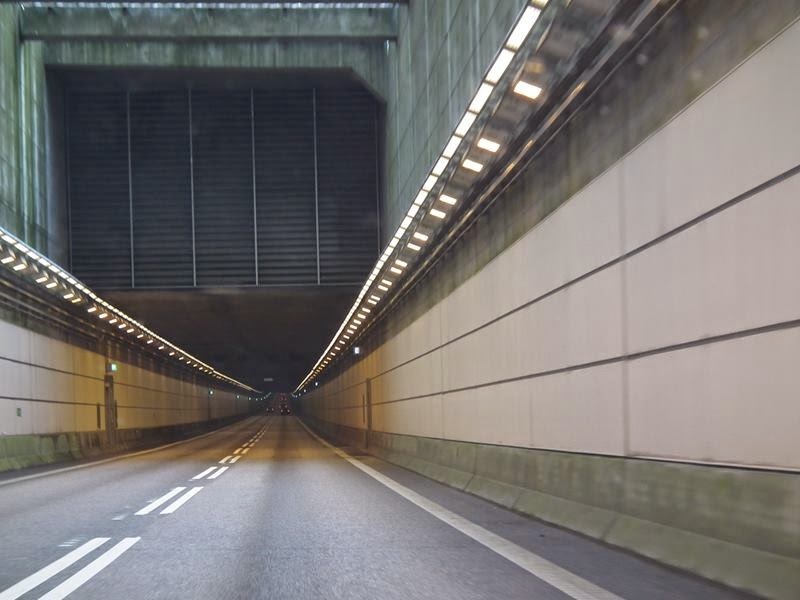 Two tubes in the tunnel carry railway tracks, two carry roads and a small fifth tube is provided for emergencies. 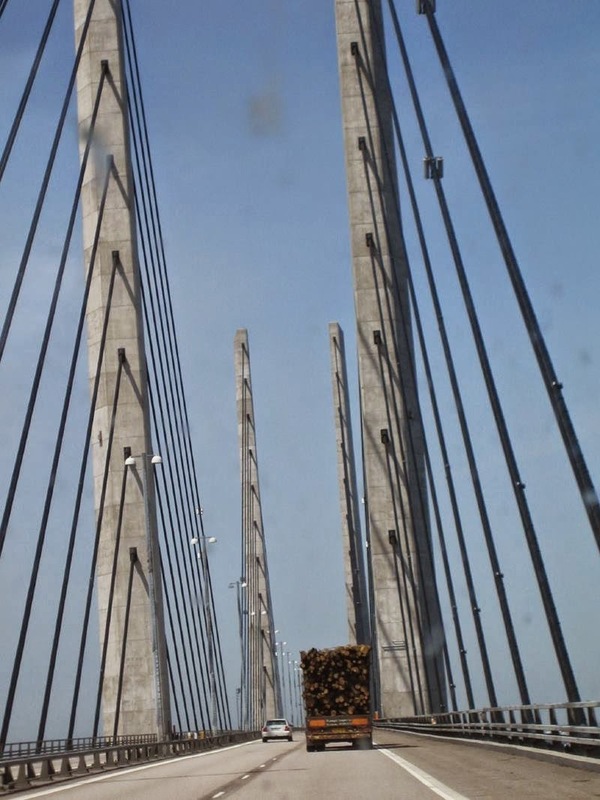 The tubes are arranged side by side.